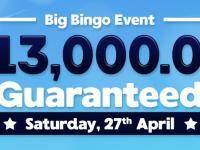 6 weeks filled with bingo fun, incredible birthday games and $1,000’s in cash prizes to be won. 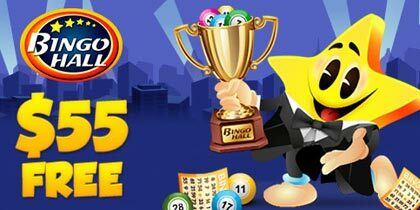 The celebrations take place between July 27th and September 6th in the CyberBingo classic room which has extended opening hours from 8am till midnight EDT every day of the week during the celebrations. 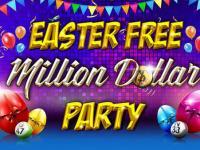 Playing for fantastic cash prizes every game, the birthday fun and excitement in guaranteed at Cyber Bingo. There’s $8,000 in fabulous prizes to be won in the CyberBingo Sweet 19th Bingo tourney, each week rewarding the top 5 players with up to $500 in cash. 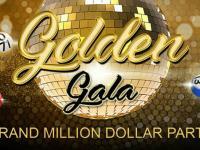 This great tourney lasts for the duration of the birthday celebrations and rewards the overall top 20 players with the highest number of points with up to $1,000 cash for the overall tourney winner. There’s a birthday special for every player during Cyber Bingo’s 19th birthday celebrations – an incredible Buy 1 Get 1 Free offer on all bingo cards. Every game played in the CyberBingo Classic room (8am – Midnight EDT) between July 27th and September 6th will reward players with a fantastic Buy 1 Get 1 Free offer. That’s double the birthday fun and excitement every game as players wish CyberBingo a very happy 19th birthday! You are invited to join us for the biggest bingo birthday party as we celebrate 19 incredible years filled with Bingo at its best. With new and exciting birthday bingo games to play and fantastic extended opening hours in the classic bingo room every day, this is guaranteed to be the best bingo birthday party ever! To celebrate our 19th birthday we’re bringing you 5 weeks filled with CyberBingo 19th Birthday Celebrations in the CyberBingo Classic room. Everyone’s invited to join in the birthday fun as we open the Classic room doors from 8:00AM EDT till 12:00AM EDT every day between Monday July 27th and Monday August 31st. Filled with our fabulous 19th Birthday bingo games, there are fantastic cash prizes to be won every game in the Cyber Bingo 19th Birthday Celebrations. Birthday Special – Buy 1 Get 1 Free on all games in the Classic Bingo room. As an extra special 19th Birthday present, we are giving our players an incredible Buy 1 Get 1 free offer on all cards purchased in our CyberBingo 19th Birthday Celebration. Don’t forget that all CyberBingo 19th Birthday Celebration game will count towards our fabulous Sweet 19th Bingo Tourney, your chance to win a share of $8,000 in prizes. Playing in Candy frenzy bingo 90 room at 6pm EDT, chance to win $5,000 cash with an unmissable Buy 8 Get 4 Free offer on all tickets in Marilyn’s great game. 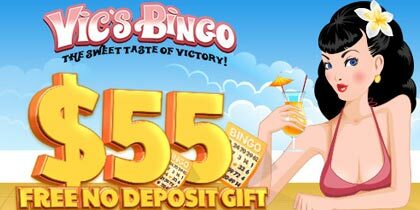 at CyberBingo it is Happy Hour every night of the week between 9pm and 10pm EDT in their Summer Bingo room. Filled with low cost cards and fantastic cash prizes up for grabs, there’s no happier way to spend evening. Happy Hour Reverse Coverall bingo games will play for a starting cash prize of $100 that will increase bingo happiness by $30 with each ball called after the 45th ball is out. This fantastic cash prize can keep on growing until it reaches an incredible $1,000 cash and has an incredibly low card cost of just $0.05 a card! A fabulous offer of Buy one get one free offer on all cards in the Happy Hour bingo games. With back to back Happy Hour Bingo fun and excitement guaranteed daily in the Summer Bingo room from 9pm till 10pm EDT every day at CyberBingo. 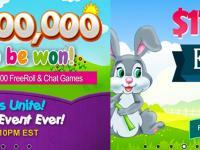 spin and win playing your favorite slots in the fantastic Summer Spin Tourney from August 3rd till August 30th. A great range of video slots have been selected to play as we give away a fantastic $3,000 in guaranteed prizes in this action packed tourney. 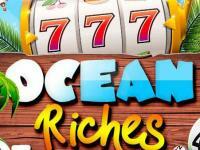 Everyone’s invited to play, all you have to do is play any or all of the Summer Spin tourney slots and the top 20 players who win the highest aggregate winnings for the period will each win themselves a fantastic prize, join in the video slot action today and watch as you climb the tourney leaderboard to be crowned as Summer Spin Tourney winner of $1,000 in cash.